Blame should not be placed in any of the above baskets. Learn how to end blame and defensiveness. Often, conflicts over something very small are then fuelled by blame and defensiveness and blow up into a full-blown argument. The original problem gets lost because we have added so many layers of blame and defensiveness that we are arguing about the way we argue, rather than what actually happened. Why do we feel the need to blame someone else or search for someone to blame? It’s time to stop pointing the finger of blame, and time to shift blame into something positive. Let’s stop blame! Blame means “to place the responsibility for (a fault, error, etc. )” (Dictionary.com). Synonyms for blame include repudiation, criticism, accusation, attack, charge, chiding, complaint. (Thesaurus.com). Defensiveness is to be “excessively concerned with guarding against the real or imagined threat of criticism, injury to one's ego, or exposure of one's shortcomings” (Dictionary.com). Synonyms for defensiveness include averting, preventive, thwarting, coping with, defending, safeguarding, in opposition (Thesaurus.com). First, let’s be clear that really small things are not worth talking about at all, and we can learn to have compassion for our partner’s imperfection and let those little things go. 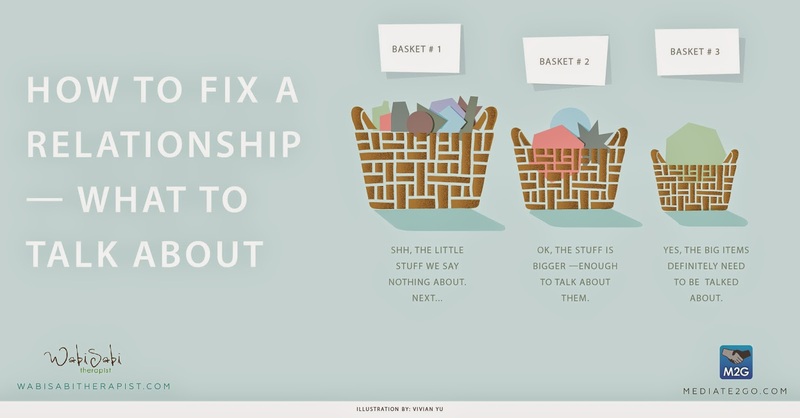 This blog about fixing relationships by sorting things into baskets can help you decide if something is worth bringing up. Once you’ve decided to bring up an issue, how you do it is important. These are bad starters: “You always…”, “You never…” “I’m sick and tired of…” “Would you just stop…”. Approaching someone with blame and generalizations or telling them what to do (or not to do) invites defensiveness. When we feel attacked, it’s human instinct to defend ourselves. So, the first step to stopping defensiveness is to not blame. Steps to address blame and defensiveness. The goal is to give information about how you respond to something your partner does. Make the delivery short and sweet. · “When you roll your eyes and speak in that tone, I feel two years old”. 3. Try to END IT THERE! 4. The Time to EXPLAIN is LATER! Often, the urge to defend ourselves is simply us wanting our partner to know that our intent was not to hurt them. BUT there should be at least enough time in between the delivery and the explanation to assure the partner that they are understood. It’s certainly okay to reassure someone you had no ill intent. The problem is that if it happens too soon, it comes across as defensiveness. Putting a space in between the delivery and the defense can help keep little things from blowing up into big ones. 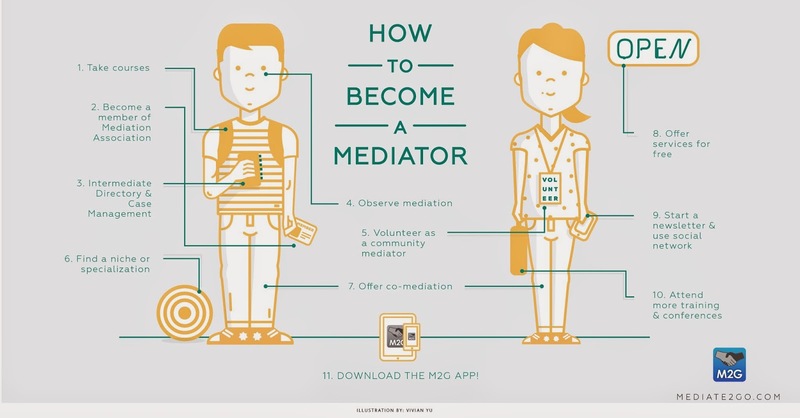 Lynda Martens is the Wabisabi Therapist and a contributor to the Mediateto Go Blog. Please read her other contributions by searching on this page for Lynda Martens. Further listening – songs about blame. 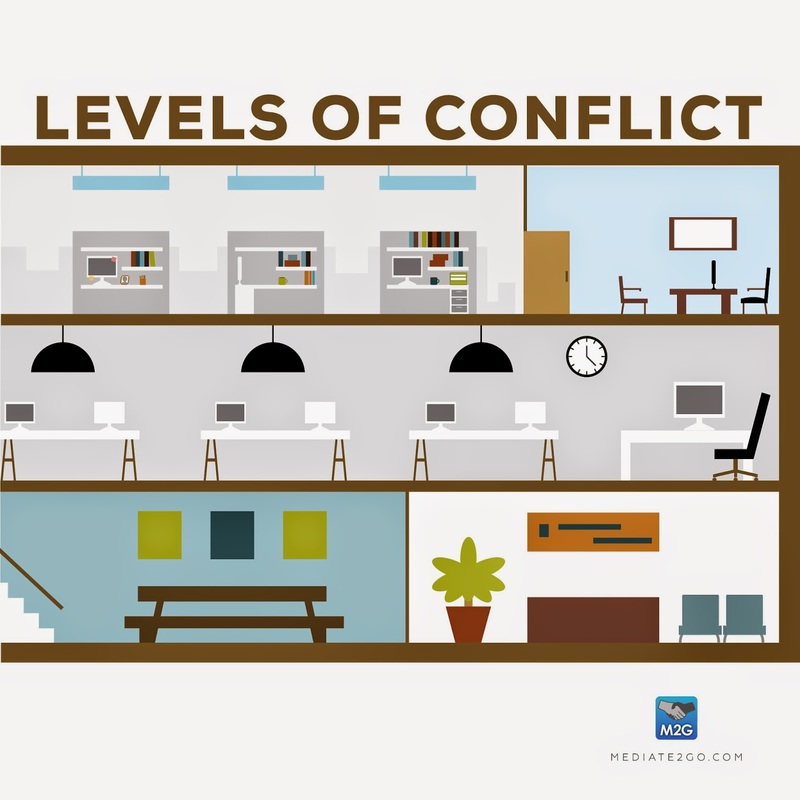 Check out the Mediate2go Top 10 lists about conflict. One of the songs deals with blame. Further reading - more quotes on blame.